The debut of Al Sharpton's new program on MSNBC did not go very well Monday. As NewsBusters previously reported, MSNBC contributor Michael Smerconish on Thursday, while substitute hosting for Chris Matthews on "Hardball," actually floated the absurd conspiracy theory that Rupert Murdoch had staged the pie throwing event during his hearing before Parliament Tuesday in order to distract from his testimony. The media's attention on Rupert Murdoch and the British hacking scandal hit a new low Thursday. Chris Matthews, joined by two liberal talk radio hosts on Tuesday's Hardball, essentially blamed the likes of conservative hosts like Mark Levin for creating the climate of hate that led to the shooting of Gabrielle Giffords as the envious MSNBC host proclaimed: "People like Mark Levin, Michael Savage...every time you listen to them are furious, furious at the left with anger that's just builds and builds in their voice and by the time they go to commercial, they're just in some rage, every night, with ugly talk....They must have an audience. I looked at the numbers today. They have big audiences! And I guess that's the question. Why and is it ever going to stop if it keeps working?" Before that Matthews rant, Philadelphia area radio host Michael Smerconish coined a word in his attack on conservative chatter as he talked about "the hatriolic comments" he's heard and in referring to a scene he saw at a town hall meeting worried: "These are people who are on the edge and if somebody pushes them over, God help us all." E. Steven Collins, another Philly area talker, sided with Arizona Sheriff Clarence Dupnik who attacked Rush Limbaugh, as he hailed: "The sheriff in Tucson was absolutely right...It does impact people who may have a mental problem or may not" and added that there was a "direct relationship" with Sarah Palin putting crosshairs on her Web site over Giffords' district and the loss of a life of "that little girl who went down to meet the congressperson." Chris Matthews, on Tuesday's Hardball, accused Fox News of "whipping up white hysteria" over allegations of the New Black Panther Party intimidating voters in Philadelphia as he wondered, at the top of his show, if there was "a rightist strategy to stir up racial resentment among whites by portraying whites as victims of black rule?" 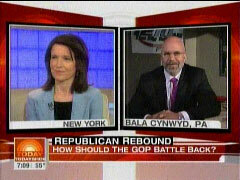 The Hardball host, during a discussion about the New Black Panther Party case with Philadelphia radio talk show hosts Michael Smerconish and E. Steven Collins, claimed that "Fox News and its friends" were pushing the story to motivate voters in the midterms because "I think there's nothing the Republican Party likes better than a nice, scared white voter. Let's be honest about it." While Matthews did agree with Smerconish, about some of the merits of the case, the thrust of the segment was that Fox News and the right were pushing the New Black Panther Party story to race-bait as Matthews claimed: "This is just an attempt by the people on the right, I guess, especially Fox, to just keep pushing this, this beach ball in the air until it finally creates some noise." We've become a culture that is unforgiving when it comes to poor word choice, says syndicated radio host Michael Smerconish. "We're far too thin-skinned, starting federal investigations every time someone says something stupid." He blames political partisanship and a 24/7 media looking for "gotcha" moments. Web sites such as TMZ.com, Politico.com, Gawker.com and TheSuperficial.com traffic in verbal gaffes. 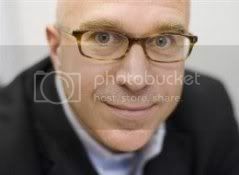 Mr. Smerconish, a lifelong Republican who this year announced he is now an independent, has developed a "Muzzle Meter," asking listeners to help him measure, on a scale of 1 to 10, whether poor word choices are innocent mistakes (a 1 or a 2) or were said with malice (a 9 or a 10). WE KNEW Virginia Attorney General Ken Cuccinelli II (R) had declared war on reality. Now he has declared war on the freedom of academic inquiry as well. We hope that Gov. Robert F. McDonnell (R) and the University of Virginia have the spine to repudiate Mr. Cuccinelli's abuse of the legal code. If they do not, the quality of Virginia's universities will suffer for years to come. That's an unsigned staff editorial, not some fulminating columnist with a byline. But these very same Washington Post editorial page staffers offered space on Friday to alleged conservative Michael Smerconish to trash cable news bookers at Fox News and CNN for wrecking America with "polarized politics." The producer asked whether CNN could identify me as a conservative. "Well, if someone who supports harsh interrogation, thinks we should be out of Iraq but in Pakistan, doesn't care much if two guys hook up, and believes we should legalize pot and prostitution is conservative, fine," I replied. 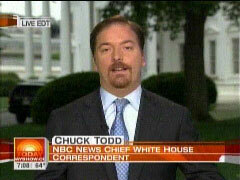 On Wednesday's "Today" show, NBC's Chuck Todd called the decision of Arlen Specter – a Republican senator who has such a liberal voting record and has been such a constant-thorn-in-the-side of his party that he faced probable defeat in his own primary – to leave the GOP, "devastating." In a piece about Barack Obama's first 100 days that trumpeted his own network's new poll showing high ratings for Obama, Todd buried the GOP: "But for the Republican Party it's devastating, not just to their hopes of slowing President Obama's agenda in Congress but for what it says about the future of the GOP." Todd then aired a sound bite from a Philadelphia area radio talk show host Michael Smerconish who advised the best way for the GOP to win seats was to "clone" Specter. MICHAEL SMERCONISH, AUTHOR, MORNING DRIVE: The Republican Party in the aftermath of the presidential race should have come to him and tried to clone him. They need more Arlen Specters. And instead they deride him as a R.I.N.O - Republican In Name Only. CHRIS MATTHEWS: Up next, does Rush Limbaugh hate this country? Wait till you hear what he said about the new president. He wants him to fail. What an amazing-, I've never heard anybody say they wanted a new president to fail. Usually you want the new president to succeed and then later on you argue the politics of what he or she does. But to want them to fail at the outset? What's that about? Later in his "Sideshow" segment Matthews aired a sound bite from Limbaugh and then snidely remarked: "Well Rush must have a lot of acorns squirreled away not to share everyone else's hopes that the economy does come back." As Philly talker Michael Smerconish has revealed, it certainly pays to tow your liberal employer's party line. Just two weeks after the formerly conservative talk host revealed he would back Barack Obama for president, CBS has rewarded him with the previously-elusive program expansion he'd been long been desperately seeking. At the time, Smerconish actually had the nerve to predict his career would take a hit for making this supposedly courageous decision. Instead, his dividend is a bit like your local grocery store's rewards card, only the payoff is 1000 times greater!